Batten down the hatches! I’m about to blow you away with short-windedness! It’s time for our March Pitch Pick. Here is a little refresher, followed by the poll. Please vote by Saturday and I’ll announce the winner Monday. Now that you’ve voted for last month’s pick, let’s check out the first offering from this month! Ooh! This just in – last minute addition! 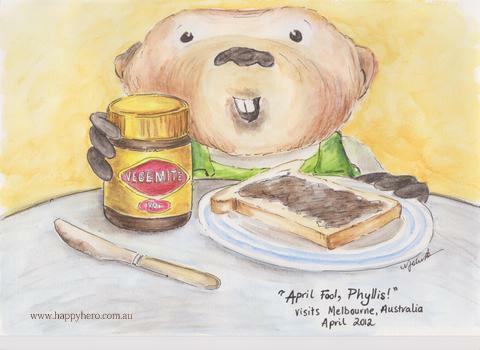 Phyllis has had an awesome visit to Nicky in Australia!!! Thanks for voting, Erik! And I love that illustration Nicky did – she's so talented! Great pitch, Delores…I would definitely want to read more!